Very nice service body truck for the money! Under 100,000 miles! 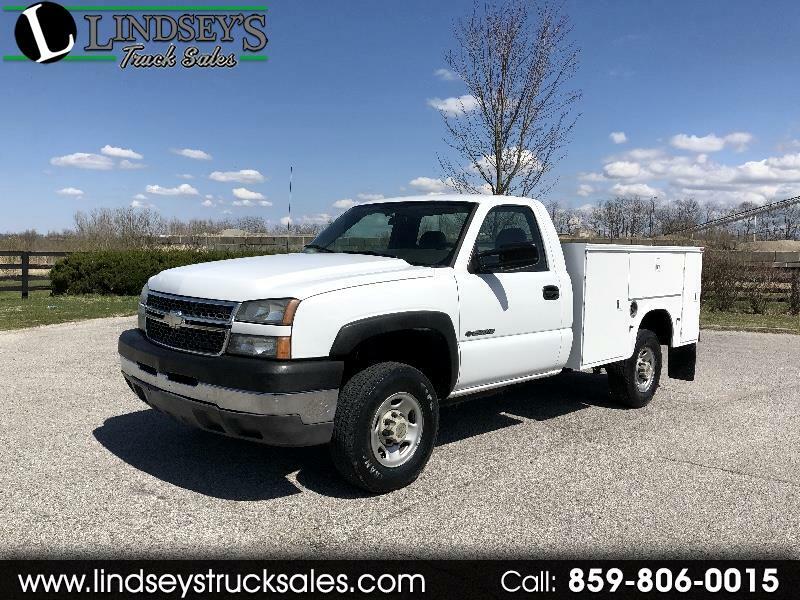 Truck features include 6.0L V-8 engine -- 3/4 ton chassis -- Automatic transmission -- split vinyl bench seat -- AM FM stereo -- power locks -- vinyl floor mat -- standard cab -- steel wheels -- knapeide brand service body -- bed liner -- drawer inserts -- receiver hitch and more. Truck runs out great and the body is very solid for the year. Tires are good/excellent all around. Message: Thought you might be interested in this 2005 Chevrolet Silverado 2500HD.